Courtesy of National Japanese American Historical Society, ca 1920. Public domain. One of the most terrifying things my father described about escaping Vietnam was the abyss that engulfed his small boat whenever the sun disappeared below the horizon. On cloudy nights, the light of the moon and stars would be completely smothered by an endless void. In every direction, below and above, there would be a darkness so oppressive that he would forget his physical existence, if not for the groans of the sea and the creaks of a rickety fishing vessel. I grew up listening to stories of a motherland engulfed in fire and napalm, and of the children who were forced to flee for their lives. The South China Sea regularly devoured boats like his, spitting out the bodies of refugees onto the shores of Indonesia and Thailand. My father was one of the lucky ones. He survived a journey that claimed the lives of 400,000 other people, finding his way to a Thai refugee camp. He remained at the camp for a year before coming to a United States that, quite frankly, did not want him. As our country continues to grapple with the countless human rights violations being committed against Central American migrants at our southern border, I can’t help but draw connections to my father’s experience of coming to the U.S. It is difficult to imagine, in today’s racially-charged atmosphere, that anti-immigrant fervor could be any worse. 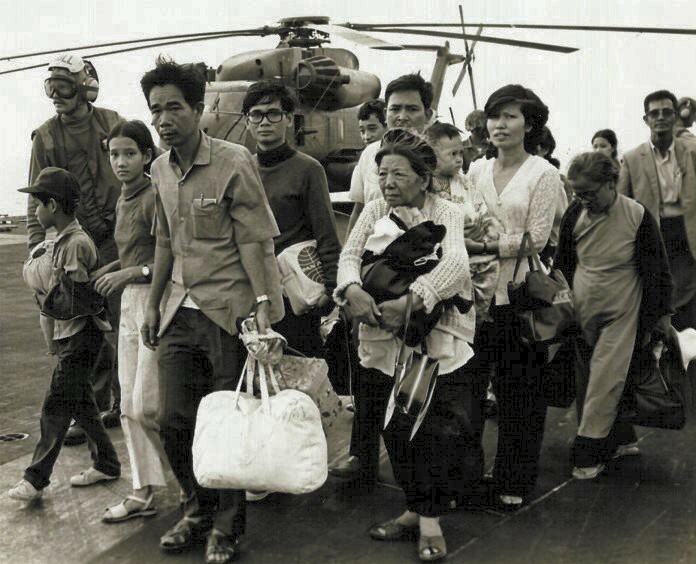 But in May of 1975, a mere month after the Fall of Saigon, only 37 percent of Americans were in favor of allowing Southeast Asian refugees to settle in the United States, while a full 49 percent were opposed. Four years later, President Carter doubled the number of Southeast Asian refugees that the United States could accept per month, raising the limit to 14,000 people. A poll by CBS found that 62 percent of Americans opposed his actions. A number of individuals went on to act out their xenophobia, with deadly results. In 1979, a fight between Vietnamese and white fishermen in Galveston Bay resulted in the death of a white crabber after the Vietnamese shot in self-defense. In retaliation, Vietnamese-owned boats were lit on fire, and a crabbing plant that employed Vietnamese workers was bombed. The KKK soon became involved. They launched a campaign of intimidation against the local Vietnamese community, planting burning crosses on the lawns of Vietnamese families and even pointing a pistol in the face of a Vietnamese fisherman. South Vietnamese refugees walk across a U.S. Navy vessel. Public Domain, 1975. In 1989, a white supremacist walked onto the playground of Cleveland Elementary School in Stockton, CA and opened fire on the predominantly Southeast Asian elementary school, killing five children of Vietnamese and Cambodian descent and wounding over thirty others. In an interview with The Sacramento Bee, a co-worker of the shooter stated that the gunman hated Vietnamese people and blamed them for stealing jobs — an eerie parallel to today’s racist rhetoric. Xenophobia is not a trial to be endured, but a game of Russian roulette that could fall on any minority group at any time. Nearly three decades later, the Asian immigrant has been polished by the model minority myth. Hollywood has turned us into caricatures of obedient, productive cogs in the American capitalist machine. Conservative pundits frequently cite broad, sweeping statistics that lump together disparate Asian groups in order to vilify other minorities. Lost in America’s racial amnesia is the memory of hatred against Southeast Asian immigrants, hatred that bears a disturbing resemblance to the anti-immigrant bigotry of today. I know a number of individuals within the Vietnamese-American community, and among many other Asian-American communities, who breathe a nervous sigh of relief at how America has adopted certain Asian groups as their seemingly “favorite” minorities. When they look at groups of people who are currently the subject of America’s ire, they quickly avert their gaze, thankful that at least their own group has passed through America’s hazing rituals. What they may be unaware of is that xenophobia is not a trial to be endured, but a game of Russian roulette that could fall on any minority group at any time. To be an immigrant in America is to play a constant game of Tag. It is to struggle to avoid becoming an ‘It’ instead of a ‘He,’ ‘She,’ or ‘They,’ to avoid having your humanity stripped away, replaced with a set of stereotypes embodying everything white people fear. I feel like most immigrants are acutely aware of this troublesome game, even if they frequently praise America as the land of opportunity. My father is a fiercely patriotic man, and understandably so. Compared to living under Vietnam’s repressive government, living in the U.S. is paradise. Regarding racism, he mostly believes that while there are definitely a few bad apples out there, the majority of Americans are fair people. His demeanor shifted, however, when a Vietnamese gunman walked into an immigration center in 2009 and murdered 13 people. I remember sitting on my couch watching television, listening to my father speak to an uncle over the phone. His voice was hushed and grim, warning my uncle about possible retaliatory attacks against our community. Fortunately for us, those attacks never came. 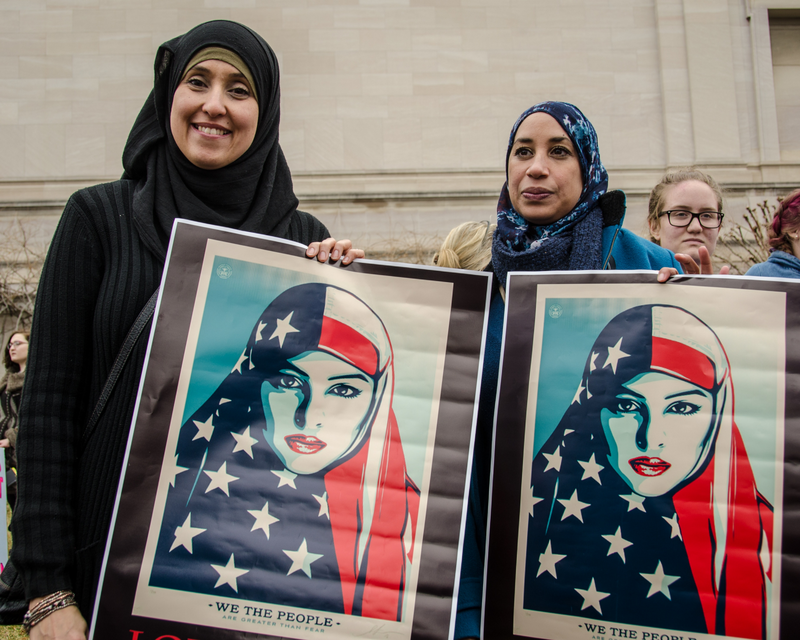 But as events such as Pearl Harbor and 9/11 have shown, it’s not unheard of for members of a minority group to wake up one day to find themselves the new face of America’s enemy. The model minority myth is blinding the general population to the violence being committed against Asian immigrants. Asian Americans cannot afford to stay quiet while immigrants once again find themselves the victims of nationalism and white supremacy. This is not an issue of the past. Our communities are hurting now. The model minority myth is blinding the general population to the violence being committed against Asian immigrants. In 2014 and 2015, it was estimated that there were between 1.4 million and 1.7 million undocumented immigrants in the U.S. from Asia, making up around 14 percent of all undocumented immigrants. It is probably safe to assume that these figures have since grown. Recently, Cambodian and Vietnamese communities have been the targets of large-scale immigration raids that have resulted in some of the highest numbers of arrests that these communities have ever seen. The Trump administration, in retaliation for their refusal to accept deportees from the United States, has levied a visa sanction against Myanmar and Laos. But it is not just undocumented immigrants who are being deported. It’s happening to legal residents, too. The passage of the Antiterrorism and Effective Death Penalty Act and the Illegal Immigration Reform and Immigrant Responsibility Act, in 1996, expanded the list of offenses that warranted deportations of legal residents and refugees, including nonviolent crimes such as marijuana possession. Refugees facing deportation in Europe have extra protections because they must be tried inside their country of residence and also in the European Court of Human Rights, Hing said. According to U.S. law, refugees must apply to change their status to ‘legal permanent resident’ after residing in the country for one year — a practice that the United Nations High Commissioner on Refugees has criticized as violating international law. Korean adoptees have also been targets of deportation, as many were not given citizenship when they arrived as children. The Child Citizenship Act of 2000 granted adoptees automatic citizenship, but it didn’t offer retroactive citizenship for children who arrived before 2000, meaning those adoptees were stuck in limbo. As they grew up, some found themselves arrested for petty offenses and deported to countries where they had no social connections and did not know the language. This has led to tragic consequences, such as the death of Philip Clay, a deportee who committed suicide after months of isolation and homelessness in South Korea. Our country’s treatment of immigrants is appalling, and always has been. Recent developments involving the detention of migrants at the southern border, as well as the cruel practice of separating migrant children from their parents, have made me sick to my stomach. As a child of refugees, I wake up every day knowing the sacrifice my parents, and many others in my community, made to be in this country. No parent would place their child in a boat set to cross violent seas or lead their child through a blistering desert motivated by anything other than pure desperation and love for that child. I grew up listening to stories of a motherland engulfed in fire and napalm, and of the children who were forced to flee for their lives. When I turn on the news to see the Syrian lifeboats washing up on Greek shores or the dusted faces of Salvadoran children trekking into Texas, I cannot remove myself easily from their eyes because they look so much like my father’s: a sharp, deep brown, weary with the miles weighing down on them. 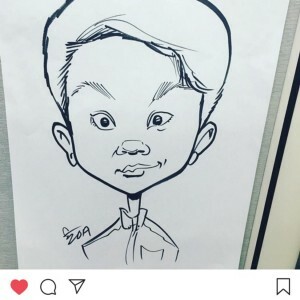 I write this article not to place blame on anyone in the Asian-American community. I hope, instead, to call on us to be more aware of our history as immigrants and refugees, and to seek to build bridges with other marginalized groups in order to find liberation, justice, and equality for all of us. The oppression and profiling by the U.S. government of all immigrant communities must end. The exile of our community members, the imprisonment of our peoples, and the separation of migrant children from their parents must end. The school-to-prison-to-deportation pipeline must be dismantled. We need to be bold. We need to harness our experiences and our skills in order to fight for a better world. This is how we honor the sacrifices of past generations: by building upon the foundations that they have laid for us and working to move our communities forward. Many members of our community already are doing this. Organizations such as the Southeast Asian Resource Center, Vietlead, Desis Rising Up and Moving (DRUM), Chhaya CDC, South Asian Americans Leading Together (SAALT), and Khmer Girls in Action are just a few of many groups working to assist Asian communities in America. We are not alone. Latinx and African communities have been dealing with similar issues of deportation and incarceration as well, and it is vital that we, as minorities in this country, find inroads with one another and utilize our collective strength to fight for change. 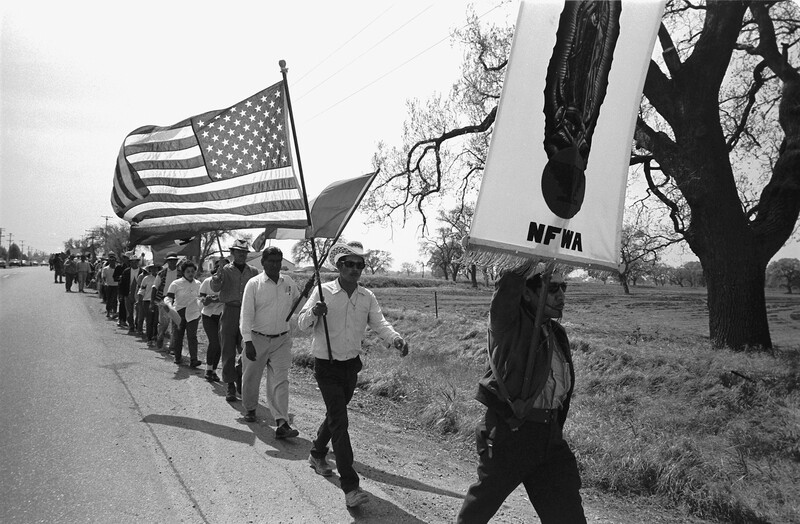 History has repeatedly shown that when we come together, acknowledging our differences but finding solidarity in our common struggles, we can reach meaningful victories — such as in the 1965 Delano Grape Strike and Boycott, where farm workers of Mexican and Filipino descent walked out from the fields to protest harsh working conditions and low pay. The National Farm Workers Association led by César Chávez joined the Filipino-formed Agricultural Workers Organizing Committee led by Larry Itliong in a five-year effort that eventually led to union contracts with improved wages and working conditions. Or the Third World Liberation strikes that gripped universities in California. Black, Asian, Native American, and Latinx students shut down campus buildings to decry the eurocentricity of college curricula. Their efforts were met with intense police brutality, but eventually resulted in the first ethnic studies programs and in increased enrollment of students of color. For the next several weeks, I will be writing a series of articles that explore the immigration issue more deeply, critiquing common xenophobic arguments and making a case for a borderless world. I am doing this in the hopes that I can shed a light on the struggles that immigrants in the U.S. face, and that I may inform and inspire people to enact lasting change. While I will be making economic, social, and religious arguments, I must affirm that none of them are as valid or as powerful as the fact that immigrants are people who deserve to be treated with respect and dignity. While we must reject the right-wing view of immigrants as dehumanized economic burdens, we must also reject the liberal view of immigrants as mere “assets” and “resources.” Instead, we need to think beyond the paradigm that sees people as tools for wealth production; we need to restore their value as living, thinking, feeling beings deserving of inclusion, empowerment, and justice. This is the greatest argument for the immigrant: that he or she is a human of equal worth to any one of us, and that the only barrier separating ‘them’ from ‘us’ is a piece of paper. Special thanks to Atari Gems for their assistance in brainstorming. Follow their work on Twitter @wordsbyatari and on Instagram @yoitsatari. Additional thanks to Tamanna Kaur for their assistance in editing. Follow their work on Twitter @AngryBrownGrrrl. Vietnamese-American writer, urbanist, and slam poet.